This hippo head is one of my first drinking fountain loves. It's at Fairytale Town in Sacramento, California, a park built in the 50's with attractions such as a castle, a crooked mile, and a pirate ship. Set near the back of the park, this is one of the most whimsical and delightful drinking fountains I've ever seen. 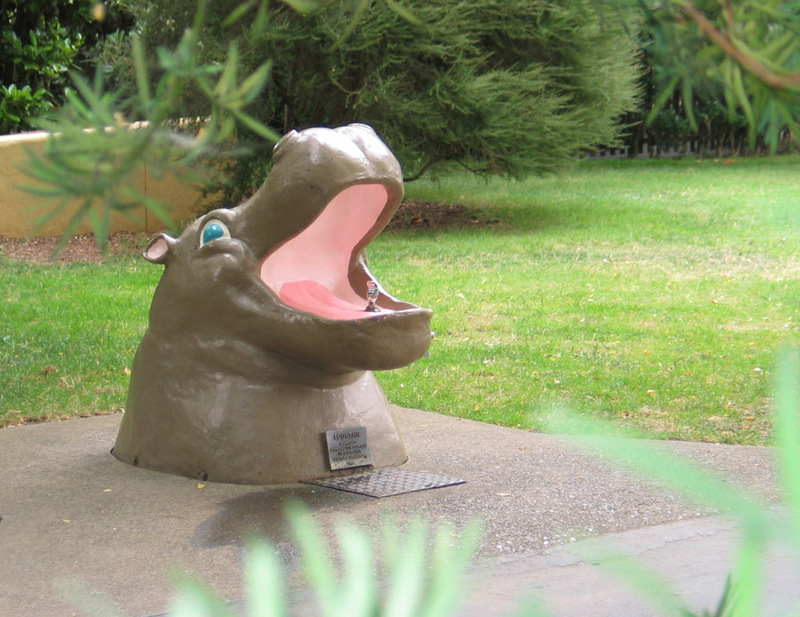 The happiness of the hippo's smile, the bright pink of the tongue, and the fact that you have to enter the hippo's mouth to get your drink of water make it a perfect drinking fountain design for a fun children's park. The head is at a perfect height for toddlers and young children, which requires additional bodily engagement for adults, immersing them in the hippo's mouth and childhood in general.